Last Christmas it was estimated that in the UK around 108 million rolls of wrapping paper was thrown away. We were shocked to discover recently that a lot of wrapping paper is not recyclable due to how it is dyed, laminated, has added glitter as well as plastics. With foil or glitter decorated wraps especially not being recyclable this means that a lot of the waste will ending up in landfill this Christmas. You can tell whether a wrapping paper can be recycled if you are able to scrunch it in your hand. This shows the clear need for eco-friendly wrapping paper which lives up to the Christmas cheer whilst being more environmentally-friendly. 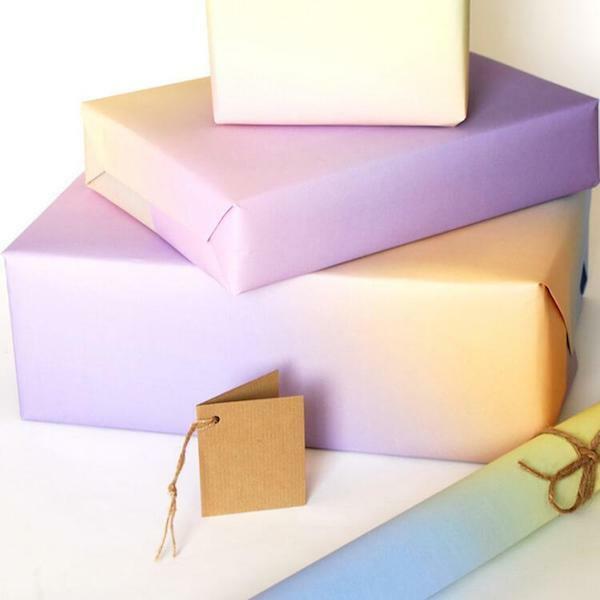 In this blog we explore some of our most popular eco gift wrapping alternatives available on our store including reusable gift wrap, recycled wrapping paper and even natural & biodegradable gift wraps made from renewable bark! Reusing items is one of the best ways to help reduce the amount of waste going to landfill and live a more zero waste lifestyle. 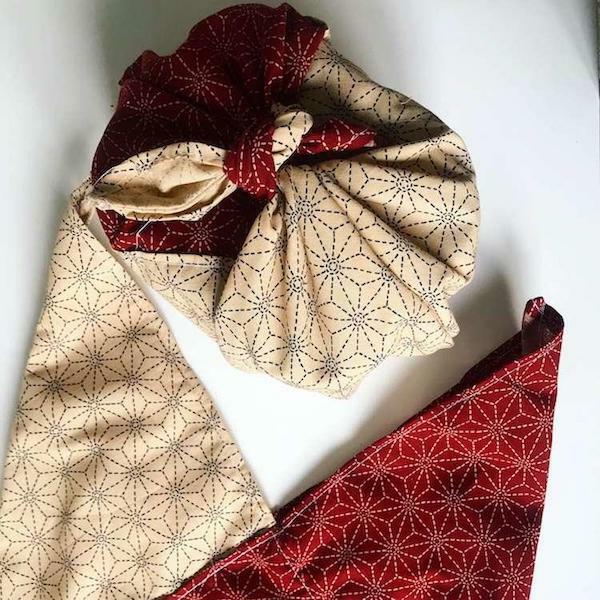 The idea of having a reusable wrapping paper is not a new one, the Japanese furoshiki is a reusable wrapping cloth which they have used for centuries to wrap presents. 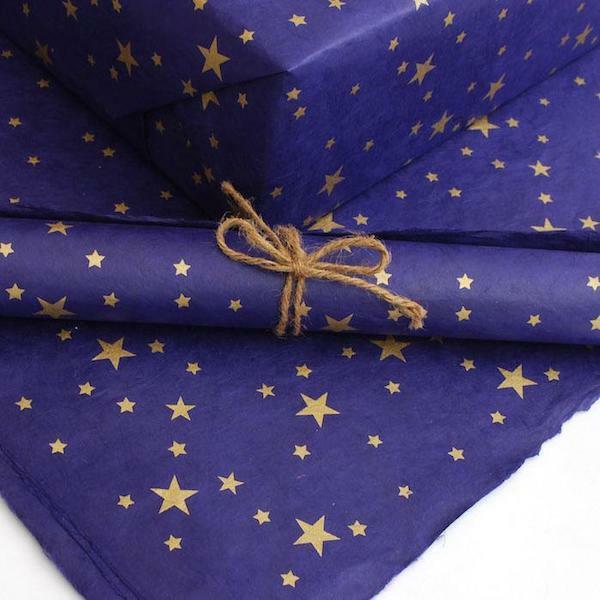 These beautiful reusable wrapping paper for Christmas is made from cotton. Made by Happywraps in the UK the idea is to create a new tradition of sustainable gifting where the wraps can be used over and over again, passed around family and friends and are even washing machine safe. The wraps come in two sizes for small/medium sized presents and and larger presents. This eco gift wrap also comes with two cotton braids for attached the corner for easy wrapping without the need for Sellotape! Another environmentally-friendly reusable gift wrap option are these linen wraps made with OEKO-Tex standard linen and organic cotton thread. There are a range of colours to choose from and to use you simply fold the wrap around the gift and knot to secure, its as simple as that. There are two sizes, 28 x 30cm wraps which are perfect for smaller gifts and 60x70cm wraps for medium to large sized gifts such as gifts, wine, games clothing and books. 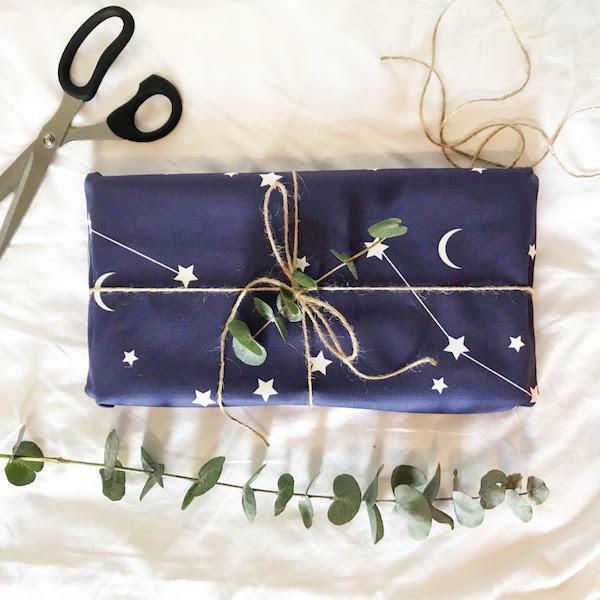 If you feel that reusable gift wrap isn’t for you, then this recycled wrapping paper could be a good option. With soft sunset colours it is printed on 100gsm recycled paper using vegetable based inks. 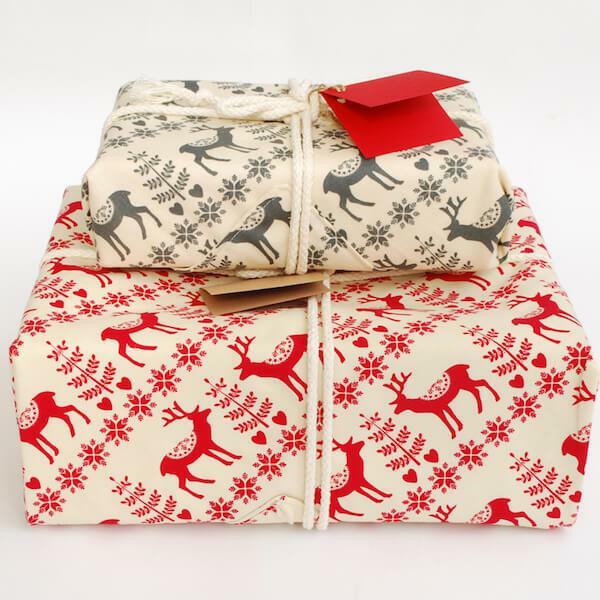 This fully biodegradable and recyclable wrapping paper includes two recycled card tags threaded with natural twine. 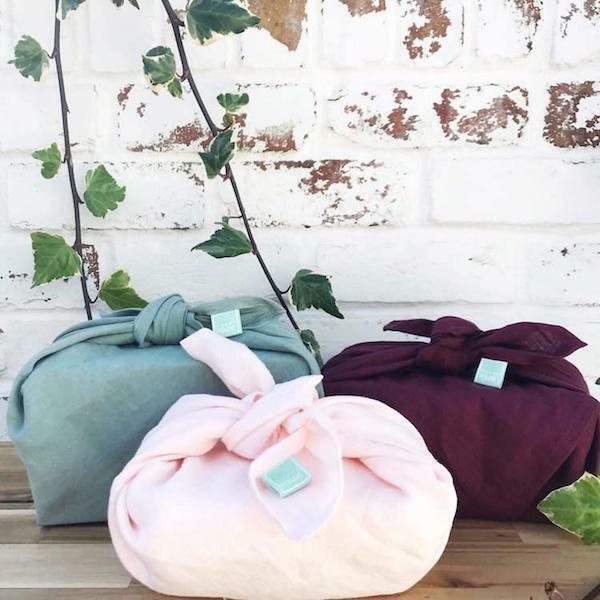 These cotton bento bags are handmade in the UK and are great as they can be used to give as plastic-free gift wrap but are a gift in themselves as they can be used as a lunch wrap to take food to the office or for summer picnics. They come in a range of sizes and patterns making it easy to find the perfect unique and truly sustainable gift wrap alternative. The Lokta shrub grows in the Himalayas and naturally sheds it bark each year as it grows. The locals have now learnt to harvest this renewable source and turn it into beautiful eco-friendly wrapping paper. The biodegradable gift wraps are dyed with natural dye and water-based inks to create vibrant festive colours perfect for going under the Christmas tree.